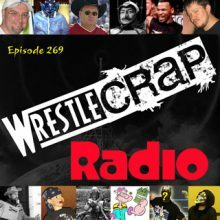 Rewriting The Book: What If ... Hulk Hogan Never Left The AWA (Part II) - WrestleCrap - The Very Worst of Pro Wrestling! This past week, I suffered a “moderate” concussion which temporarily affected the time I had to work on the story. For those concerned, I am fine; I just had to work at a slower pace. I expect this story will take the better part of a year (in these weekly installments) to be completed. I’d also like to mention that due to a number of variables, you will not see/read every angle that a promotion had going on at the time in this story. 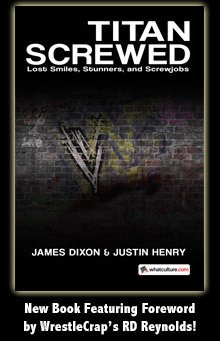 If I had to include every tag team, stable, mid-carder, tag-team, etc., I’d be writing this thing for the next 10 years. What I’m getting at is that I’m sure there will be wrestlers left out whom you think shoulda/woulda/coulda played a bigger role…and you’re probably right. Across the street at Madison Square Garden, All-American WWF Champion Bob Backlund was defending his title against Greg “The Hammer” Valentine in the Main Event. Though still a bankable star, Backlund’s popularity was starting to wane; people were tired of his “Howdy Doody” persona – a nickname bestowed by The Grand Wizard. On this night, Valentine was hoping for more than just a win. He wanted to add Bob Backlund’s name to his growing list of “broken leg” wrestlers. Wahoo McDaniel was nice; Chief Jay Strongbow was good; Bob Backlund could be the trifecta. The gold was just a bonus. Backlund & Valentine had wrestled several times over the past year. The Hammer had even gone the 60-minute distance on more than one occasion. But as another Blonde Champion once said: To Be the Man, You Got to Beat the Man. Staring out at the bright marquee from room 814 of the Philadelphia Hotel in New York City, Vince McMahon Jr. didn’t care who won. He knew already, of course, but that wasn’t the point. The point was that who won didn’t matter because neither of those men were Vince’s champion of the future. Vince had a vision. And the vision wasn’t just TV. It wasn’t just closed-circuit. It wasn’t just invading territories & destroying decades’ worth of how business was done. (That was just a side-effect, anyway.) It wasn’t just filling a few thousand people into an armory. It wasn’t just wrestling. And that last point was the most important. If pro wrestling was to be accepted into the mainstream, it had to have a completely different image. Yes, Bob Backlund was the babyface of babyfaces…and therein lay the problem. People need someone bigger than life they can get behind if you’re going National, nay, International. “Worldwide,” Vince said softly while sipping scotch & waiting. Sure, there had (occasionally) been attendances of 30,000-40,000 at Shea Stadium. But that needed to be the norm, not the exception. No more smoky, poorly-lit, half-filled tin buildings. No more regional viewers on television. No more territories. No more boundaries. Did AWA put 10,000 butts in seats on some local field? A rapping at his hotel door pulled McMahon from his daydreaming plans and another succession of knocks had him sprinting to the door in 3 quick steps. He was almost skipping. Standing at the opened door, blocking out all but the frame itself, was Hulk Hogan…and he was here to – maybe – make a deal. Halfway across the country, another important meeting was taking place. Nick Bockwinkel (AWA Champion) and Verne Gagne were sitting fireside in Gagne’s house, perched atop a sprawling homestead that included stables, cattle, a pond & an infamous barn where wrestler’s trained in the off-season. 1) He wanted a long-term heavyweight, babyface champion who had wrestling “mat” experience. Of course there was the showmanship side of wrestling, there always had been. But a champion needed to know how to wrestle, plain & simple. And while Hogan had charisma, he didn’t meet Verne’s standards of what a champion should be. 2) Hulk Hogan’s popularity was exploding. And more & more, Hogan was taking that popularity & the money it draws in ticket sales & merchandise to Japan with him. 3) The fans. The fans didn’t want Bockwinkel holding the gold. He was the hated heel who was only champion because Verne had vacated the title. He kept it with dastardly tactics and, even then, only by the skin of his teeth. Already, the ticket-buyers had voiced their displeasure in more ways than one. Just a few months ago (in June), there had been a near-riot when a Dusty-finish caused Hogan’s championship victory to be overturned, the gold eluding him once again. Fans love the chase…but eventually the heel has to be caught. Another consideration, though Verne put little stock in it, was the rumors. Vince had already run a couple of house shows well outside his own territory and while it could be brushed away as miscommunication, a misunderstanding or conflicting schedules, there were those who thought Vince Jr. was planning something more. Something big. “Well, if Vince wants a war, he’d better button up, it’s cold here in Minnesota,” Verne thought to himself as he poured his champion another drink. “So how long do you think we can keep this going, the chase?” Nick asked. “Another 6 months or so,” Verne responded. “We’ll let the feud run its course,” Verne continued. “Wrap it up spring of next year. Terry’s doing a Japan tour in June – they’re calling it “Summer Massacre ’83” – and I want him to have the belt. Nick nodded. A long silence passed with both men sipping brandy and staring into the fire. “Are you–,” Verne was interrupted. “—I’m sure,” Bockwinkel said, nodding. “Everything will be fine. It’s not a problem. I’ve still got a few years left in me, Verne,” Nick said with a chuckle. Deep down, Nick knew Verne was a man of his word. And a few more years with the belt, then a babyface turn to retire as a beloved champion was a solid plan. But it wasn’t Bockwinkel’s plan. Nick had invested wisely and his money was making him lots of money. A few more years in the ring wasn’t what he wanted. Sure, the occasional appearance was fine & dandy, especially if it was to give a new star or protégé a rub. Whatever’s good for business…to a point. But, if things went as Bockwinkel planned, that rub, that protégé, that money, would be his, happening right in his own promotion – well, the half he just secretly bought anyway. Vince offered to pour Hogan a drink, which Hogan declined. “I don’t want my mind wandering,” Hogan said. “Suit yourself,” McMahon replied, pouring himself a small glass of scotch. Vince took a seat across the small table in a corner of the hotel room. The crowd from across the street roared. Vince glanced at the window but turned back quickly, so that when Hogan looked back at him, he’d know Vince was already staring at him. “Good crowd,” Hogan said, truthfully. “There’s no place like the Garden. It’ll always be here. JUST here,” Vince said firmly. “It’s a small business,” Hogan replied. “It’s about to get a whole lot smaller,” Vince answered quickly. Hogan stared at Vince, unsure of what to say. What should be said, what shouldn’t. Vince downed the last of the scotch in his glass and leaned forward. His eyes lit up. “It’s also about to get a whole lot bigger in other ways,” Vince said with a broad smile. “I don’t mind sharing a little, Vince. With the movie and everything, I know I’m a big draw. That’s the movie your dad didn’t want me starring in,” Hogan chimed, smugly. “I’m not my father,” Vince said matter-of-factly. Vince’s eyes widened for a moment and he hoped Hogan hadn’t noticed. “So, let’s get to it. What are you offering?” Hogan asked. In early 1982, Fritz Von Erich, the patriarch of the famous wrestling family, retired. On June 4th, 1982, his son Kerry Von Erich beat Harley Race in the squared circle in front of a relatively small crowd. No title was on the line; it didn’t need to be. Getting the rub from Race was an honor and it meant that the WCCW had truly arrived. In a few short months, Kerry would engage in a heated feud with NWA champion Ric Flair. Kerry’s brothers would soon join in the battle, which would turn into an all-out, legendary war against The Fabulous Freebirds, while Flair went back to helping elevate other babyfaces to main event status. Things were only looking better for everyone involved and, of course, it would stay that way. Unfortunately, someone down South was causing quite a stir. 1 Response to "Rewriting The Book: What If … Hulk Hogan Never Left The AWA (Part II)"
Waiting to see this one take off. Should be a fun ride!